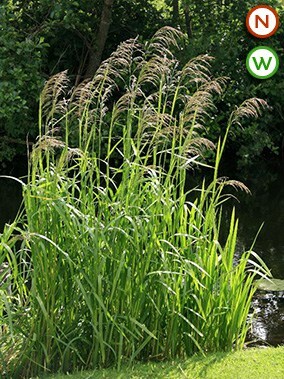 Reed sweet grass (Glyceria maxima) is a tall ornamental British native grass with deep green strap-shaped leaves often flushed pink at the base as they emerge. 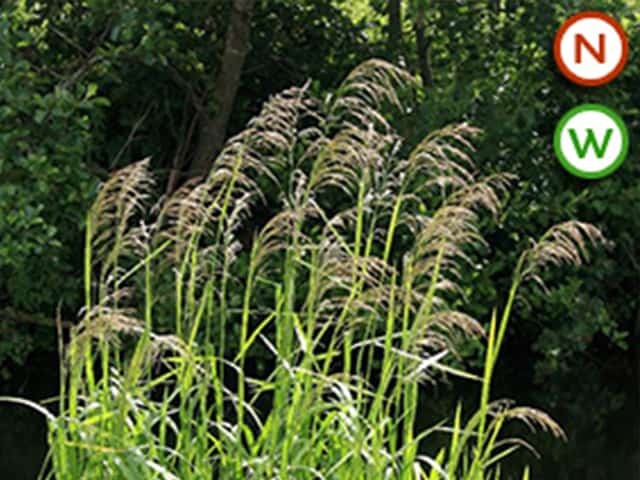 Flowers are open heads of green to purple-green panicles up to 45cm (18in) long borne in mid to late summer. 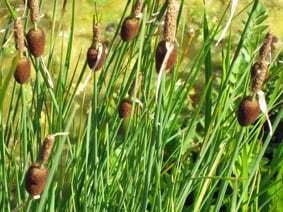 It provides nesting places for ducks and wildlife when established (they also eat the seed heads). 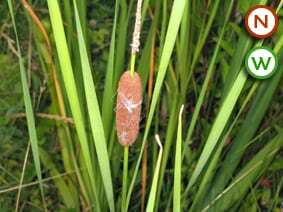 It’s also the favourite food of the Water Vole and the submerged stems provide shelter for fish. 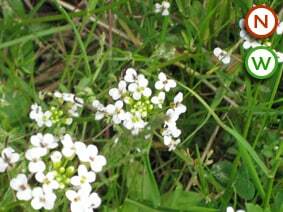 It is a vigorous grower and is best planted in a basket to control its spread. Sun and semi-shade. The variegated variety is smaller and has very attractive striped foliage.